This one is right around the corner from Apex Publications. With a release date of June 3rd, Desper Hollow will be available in a number of formats. Elizabeth Massie is a two-time Bram Stoker award-winning author of horror novels and short fiction. 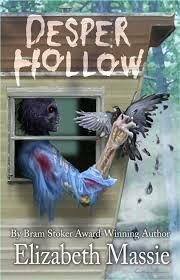 I can strongly recommend you add Desper Hollow to your 2013 reading list. Wikipedia defines Vaporware as a term in the computer industry that describes a product, typically computer hardware or software, that is announced to the general public but is never actually released nor officially cancelled. In this instance that would be Blue Lightning, a First Person Shooter, that is being developed by a small game developer on spec for a big video game publisher. Things are looking great until, for no reason, the publisher pulls the plug and funding. Fortunately there is other work available and it's on to the next project. Of course not everyone is OK with the decision, including Blue Lightning. Ryan Colter, project lead and the driving force behind Blue Lightning is a workaholic trying to juggle long hours and life with his girlfriend with whom he has a house. The fact that he has a history with one of his team leads, just further complicates the story. Vaporware is as much about being married to your job and the consequences of that choice as it is about a game taking on a live of its own. Dansky obviously writes about what he knows here, having been a former game developer for White Wolf, Inc. where he worked as developer on several successful game lines. The story intertwines working in a high pressure industry nicely with the mysterious occurrences surrounding the shut down of the Blue Lightning project. I very much liked the comradery between Ryan, Michelle and Leon even when things got messy. Dansky takes his time in building the relationships between his characters and does a nice job with increasing tension and revealing what is happening with Blue Lightning. The story does require the reader to be able to suspend disbelief, but once you do, be sure to wear a seat-belt as this is one wild ride. The copy I read was an ARC I received through LibraryThing.com and there were a number of things which I hope were caught in proofreading prior to publication. Aside from that, I can definitely recommend Vaporware, especially for gamers. 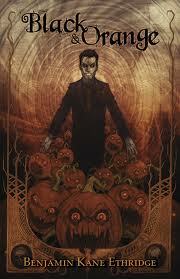 Benjamin Kane Ethridge has created an amazingly complex mythos for Black & Orange. There's the Church of Midnight, a mysterious organization whose goal is to unite with the Church of Morning located in the Old Domain, a place separate from the real world and filled with horrors. Each Halloween there is a temporary opening between worlds and there are forces at work to make the opening permanent and another group whose goal it is to keep it closed. To keep the portal closed is the job of two Nomads assigned to protect that year's Heart of the Harvest. If they fail and the Heart is captured then the opening between worlds grows closer to permanence. On the other hand, if the Heart is protected, the Church of Midnight must wait until next Halloween before trying again. In order to assist in protecting the Heart of the Harvest, the Nomads are endowed with magical powers, specifically, the ability to create mantles, I think of these as magical apps. Opposing them are members of The Church of Midnight. In addition to trying to locate the Heart of the Harvest, there is a good deal of in-fighting amongst the Bishops of the church. One of my favorite lines in the book concerns newly appointed Bishop Paul Quintana, "He'd even killed Justin, blew his best friend's head into vulture kibble, just to sit in this chair, just to say hello to her." Black & Orange is challenging fare, but certainly worth the effort. 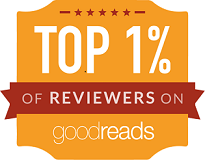 It actually won the Bram Stoker award for best First Novel. One of the things that makes this story work so well is the way the writer breathes so much life into the people in the book. They're more than just characters moving through plot twists. Even though the subject matter is fanciful, they seem more like real people dealing with real issues. I certainly wouldn't recommend Black & Orange for younger readers or the prudish, but if you're up for an immersive read please do check this one out. Sandwiched between Aloha from Hell and The Devil Said Bang, this Sandman Slim short covers his first few days as the new Lucifer. It's obvious he's not happy about his new role. Here's what he has to say on the matter, "Hi. I'm the Devil. No, seriously. I used to be James Stark or sometimes Sandman Slim, but then the Lucifer 1.0 pissed off back to Heaven and stuck me running Hell. I thought that was the worst thing that ever happened to me. That was three days ago. Today things got worse." If you're not reading Richard Kadrey, you are really missing out. Some of my most enjoyable reading moments over the last few years have been with a Kadrey book. It started, for me, with Butcher Bird, one of my favorite reads from the last five years, and now with the Sandman Slim series. "Run like a zebra at a waterhole and a pride of lions just showed up with ketchup and silverware." Yes, run to your local book-seller or online merchant and get started with the first in this wonderful series, Sandman Slim. Just remember, I told you to do it. You can thank me later. Jessie and Dens are roommates, actually much more than that, but probably not the "much more" you may be thinking. For the most part, the men in Wild Girls are not very nice, and get what they have coming. Sorry guys. I really liked Lisa Morton's novella which has some particularly gruesome murders and takes a few nice twists along the way. 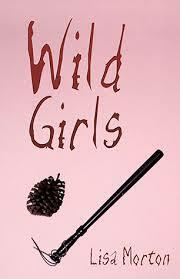 Not for children or the faint of heart, but if you like your horror down and dirty, I think you might really enjoy Wild Girls. Originally published in Kindle format, then it was a signed limited edition from Bad Moon Press and is now back in Kindle format at Amazon.com. Blue November Storms is one of Brian James Freeman's earliest works of longer fiction and there's a lot to like here. The story starts innocently enough with a group of five high school buddy's reunited for the first time in twenty years. The "Lightning Five" is what they were know on the football field and the name stayed with them beyond the gridiron. Four of the five still make their home in Beacon Point. There's Sheriff Stephen F. Powell, Harry Howison who owns his own plumbing business, and Matt Harris and Joe Esposito hold down the fort at The Pizza Palace. The fifth member of their group, and the one that's been gone since their High School days, is Adam Ellis. Adam calls Sheriff Powell and requests he get the gang together that night at the cabin in the woods. There's also supposed to be a significant meteor shower that night, so it was relatively easy to get everyone out there on short notice. As a reader, I was ready for the big bombshell regarding why Adam had disappeared all those years ago, but that's where the story takes a turn, a big turn, and none of their lives will ever be the same, that is if they make it through the night. I love reading a Brian James Freeman book. I just know it's going to take me places. It's no longer me an a book, instead, I'm right there, in the pages, watching the story unfold around me. In addition to a great read, Blue November Storms, comes with a number of illustrations from the very talented Glenn Chadbourne. Recommended for adult readers, Blue November Storms, is available now in a variety of formats. I wanted to like Nightmare Ballad, and I did in some ways, but I found the overall experience to be mind numbing. Multiple characters drawn into a dream world where nightmares blend with reality was all a bit much for me. I found myself struggling to comprehend what was really going on. Ethridge is a capable writer and I've enjoyed some of his other stories and I'm sure some people will like the esoteric nature of Nightmare Ballad, I just don't happen to be one of them. I will say, Nightmare Ballad is an apt title, as nightmares and an elusive ballad are integral to the story. Luke Rhodes hears a strange ballad, one day, while instructing a swim class. A ballad which twists reality, leading to the death of both a number of pool-goers and several frogmen. The authorities don't seem too concerned as this is what frogmen do. And then things start to get very strange. Joined by Luke's two "wives" and his friend Johnny Cruz, they resolve to discover the source of these "Lifemares," and, more importantly, how to escape them. 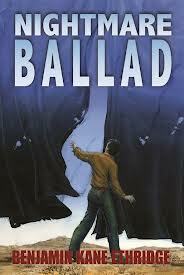 The official release date for Nightmare Ballad is May 17th, but it seems to be available now from Amazon.com. There is a sequel in the works, maybe Nightmare Serenade will add some closure to the story and I'll have a better feeling about the whole experience after I read that.